THE URBNFit PROMISE – We want to help you achieve your fitness goals. That’s why we offer a 100% satisfaction guarantee on all of our home exercise equipment. If you have any issues we’ll fix it. 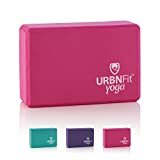 YOGA BLOCKS WITH BEVELED EDGES FOR ULTRA COMFORT – 1 block that measures 3″ x 6″ x 9″, with beveled edges designed for comfort and a soft grip. Use as a Yoga Prop, for Meditation, Pilates, Stability, Workouts or even as a Speaker stand. Lightweight for on the go workouts and travel. DEEPEN AND STRENGTHEN YOGA STRETCHES – Yoga Bricks help elongate your stretching and ensure posture alignment. Perfect for all fitness levels, Yoga Blocks provide a comfortable foundation as you move through your yoga workout. MADE FROM ECO FRIENDLY MATERIALS – Our URBNFit Yoga Blocks are Made from 100% EVA Foam. EVA foam is recyclable and 100% non-toxic; free of chlorides, heavy metals, phenols and latex. 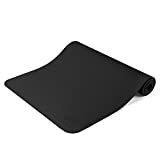 MOISTURE RESISTANT & EASY TO CLEAN – Whether sweating in hot yoga, or going through poses in your home gym, the non-slip moisture proof block helps keep bacteria at bay.